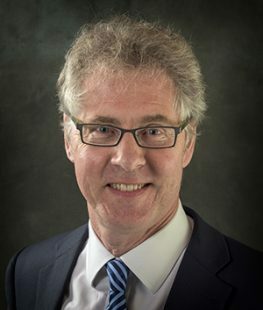 Neil has worked as a regulatory lawyer in the health and social care sector for over twenty-five years, developing a national reputation in dealing with complex large-scale enquiries often involving multiple agencies such as the Care Quality Commission, local authorities and the police. Neil’s approach is both strategic and evidence based, aimed at resolving and improving matters in the interests of service users, providers and other stakeholders. Although Neil only acts for providers, not regulators, commissioners or service users, his advice is informed by having acted in the past for inspectorates and other public bodies at a very senior level. He also has a particular interest in Regulatory Policy and how it impacts on the sector, not always benevolently. In terms of operational matters, Neil is experienced in dealing with all types of regulatory and contractual action taken against providers, including cancellation of registration, regulatory prosecutions, safeguarding and commissioning disputes. Over and above his litigation experience, Neil is also a non-contentious lawyer who can advise on technical registration issues and undertake due diligence as part of commercial transactions. Neil’s motivation in joining Gordons is to be able to provide an effective full service legal offering to providers at competitive rates. Timely and informed legal advice is essential to the successful running of any operation but particularly in the care sector. Please feel free to call Neil today for a preliminary chat about the legal issues that are affecting your health or social care business. Neil Grant provides an introduction to the Care Quality Commission’s legal powers, duties and functions under the Health and Social Care act 2008. Neil Grant gives a legal overview of the rights of providers in terms of responding to draft Care Quality Commissions inspection reports. If you would like to view my full profile on Linkedin then please here.